Well I don’t want to post the Goodreads Description this time because this is the 2nd book in the series and of course it would spoil book 1. I did however want to put my thoughts on this novel out there. I actually started this book last year immediately after I finished Outlander. This was a mistake for me because as you all know these books are HUGE and I couldn’t focus. So I put this book down and read other things. I started watching the Outlander tv series season 1 and really enjoyed it just as much as I enjoyed the book. However being the book nerd that I am I could not continue on to season 2 until I read the book. So I pulled this baby off the shelf and went to work. The beginning was soooooo slow……… I found myself dreading picking it up. It was like a never ending string of words. After 200 pgs in I decided to pick up the audiobook. I don’t know if it was listening to it or if the story just picked up but I found myself wrapped up in the world again. Ahhhhh how I love thee Jamie. I rated this book 4 out of 5 stars. Even though I really enjoyed it is could not give it 5 stars because of the beginning. 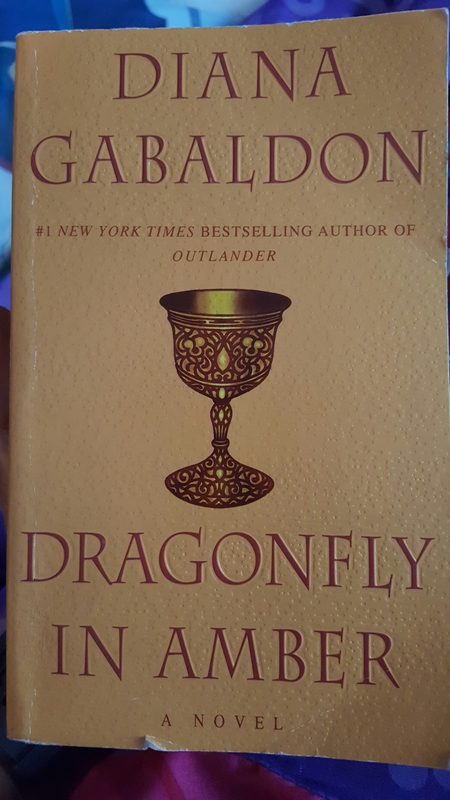 I would recommend this book to anyone who enjoys the Outlander series and I will say if you find yourself getting bored as I did hang in there it gets so much better. Plus that ending was worth it!!!! Have any of you read this book or further into the series? If so what are your thoughts? Happy Reading Ya’ll!!!!!! !